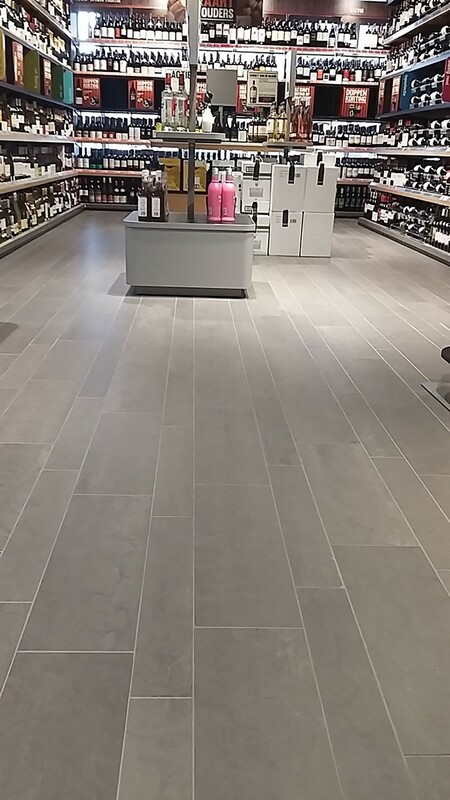 Major retail chains do regular store refurbishments and completely change shop interiors including the floor covering. To achieve a minimal loss of turnover for the shops, it is important that the renovation and refurbishment process is organized as efficiently and quickly as possible. A shop renovation concept was developed which takes only 1 weekend! The faster the underlayment is applied at the start of the project, the sooner the rest of the renovation project can be finished. 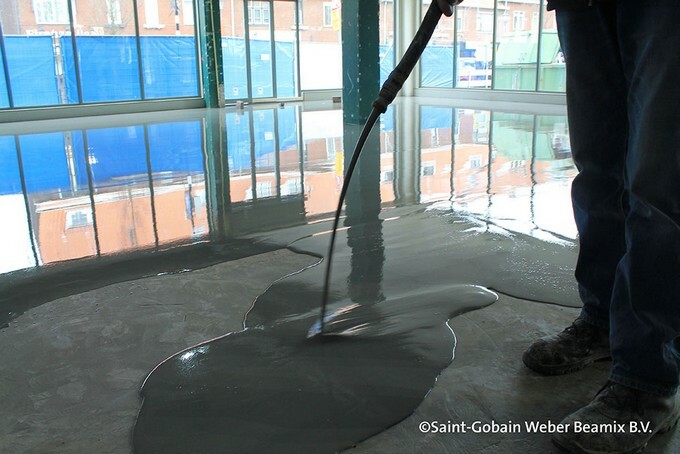 The self-levelling floor screed, applied on the afternoon, is walkable after 4 hours and tile application can start the next morning. For the tiles a special quick setting two component Weber tile adhesive (webercol 2k pro) is used. The application started with removing the old floor covering. After that, the old subfloor is grinded and primed with weberfloor 4716. 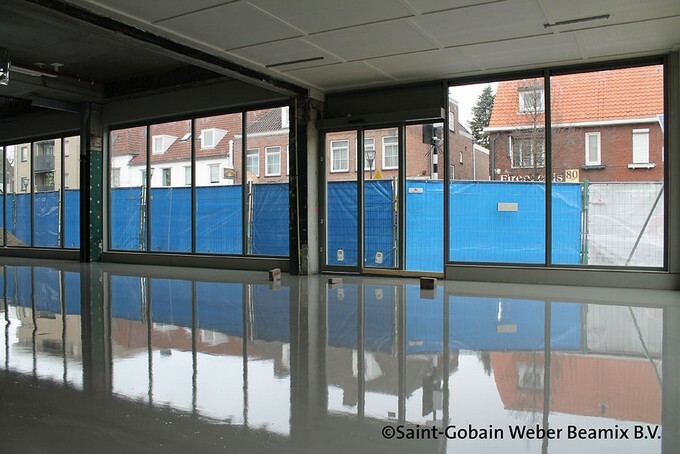 Then the flooring surface is leveled with weberfloor 4150 (5-15 mm). For glueing the tiles, webercol 2k pro is used.